This stigma around dairy farming was raised at the recent dairy seminar organised by the All Island Dairy Association of the Chamber of Commerce, where challenges around farm productivity and milk quality were cited as key issues restricting the transformation of these smallholder farmers to prosperous entrepreneurs. 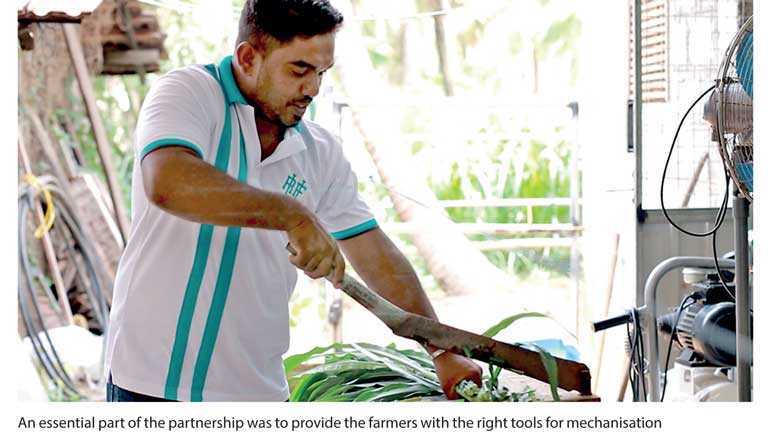 While more than 300,000 smallholder dairy farmers in Sri Lanka contribute over 70% of the local supply of milk, the industry’s contribution to GDP is just 1.2% – a compelling signal that there is a huge opportunity to increase farm productivity. But by 2013, after failed attempts at working on the family’s “murukku” business, poultry farming and even a stint overseas, 30-year old Kalum returned to dairy farming, staying true to his ambition of persevering with his own business. In 2015, he began to supply fresh milk to Fonterra Brands Sri Lanka, the company behind Anchor, when it set up a new Milk Chilling Centre in Kuliyapitiya.